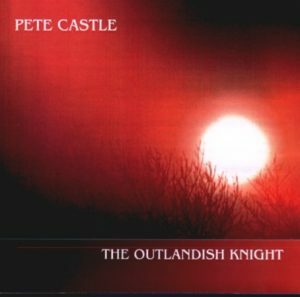 View basket “The Outlandish Knight” has been added to your basket. Here is our 3rd compilation of folk songs from and about Kent. Like the previous two it contains a mixture of very old traditional songs and some recently composed songs. 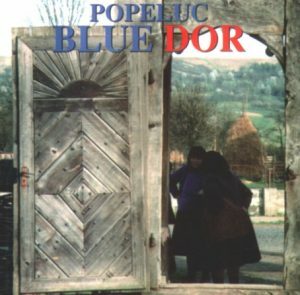 If there is any slight difference in material it is that whereas much of the material on the previous albums was about specifically Kentish subjects this time there is a predominance of general songs and ballads which are known throughout the English speaking world but in versions which were collected in Kent—The Dark Eyed Sailor, A Sailor Cut Down in His Prime, Love Is Pleasing. 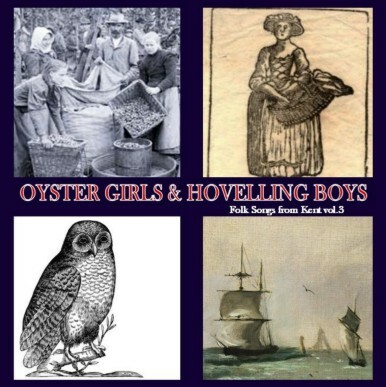 That said the album is topped and tailed on the North Kent coast with the Oyster Girl and the Whitstable May Song and both Bob and Marian contribute songs about hops. By chance the majority of the songs in this set were collected by Francis Collinson, a BBC radio producer in the 1940s, who came upon a few songs by chance and then made it his life’s work to find as much more material as he could. 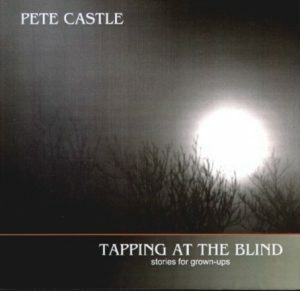 The ’cast’ on this CD has the same core as the previous ones—Pete Castle, Andy Turner, Bob Kenward; but this time they are joined by the Millen Family from the Bethesda area who have been singing their songs for generations, Marian Button from Ashford who has built up a fine reputation around the folk festival scene and poet Dave Mason who contributes his take on a typical folk song lyric. 1 The Oyster Girl: collected by Francis Collinson from Mr Baker of Maidstone. Both Mr and Mrs Baker were sources of good songs. On the Keys of Canterbury CD Bing Lyle sings Mr Baker’s Death & the Lady and on Apples, Cherries, Hops & Women Andy Turner does a great version of the Sergeant in the Wagon Train from Mrs Baker. This song was often used by 19th century Music Hall comedians. Later Burlesque performers and strippers took on the persona of ‘the oyster girl’, an idea used by Sarah Waters in her novel Tipping the Velvet (and the ensuing TV series). Oyster girls obviously supplemented their earnings in other ways—and perhaps the oysters helped! 2 The Deal Hoveller’s Song: (Words & Music: Bob Kenward) As Deal had no natural harbour, great naval ships anchored in the channel known as the Downs. Many locals made a living by ‘hovelling’ – running small boats from the shingle to the moorings. They took passengers awaiting a favourable wind ashore, replenished, dredged, and in times of storm rescued many drowning souls from the Goodwin Sands. The Maritime Museum displays their prayer: ‘God Bless Ma & Pa, and send them a Good Hovel’. 3 The Dark Eyed Sailor: collected by Francis Collinson from Mrs Ethel Apps in Sissinghurst. A variant of the very popular 19th century British broadside ballad Fair Phoebe And Her Dark-Eyed Sailor. ‘Broken token’ ballads were very popular and modern singers/writers have often expressed incredulity that the fair maid did not immediately recognise her true after his seven year absence. We must remember that he went to sea as a youth and returned a man and that she would have had no pictures to remind herself of his looks. 7 The Kentish Woman’s Way (poem) Dave Mason Dave is the resident poet at Tenterden Folk Club. This is his take on a folk lyric. 8 Chalk and Cheese: Bob Gates arr Marian Button. 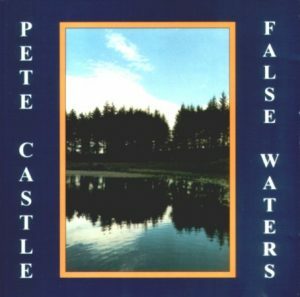 A contemporary song written by Bob Gates of Whitstable. 10 The Old Owl: This is typical of the ‘glees’ which would have been part and parcel of the old Catch Club repertoire and so of village entertainment in the 19th century.The first verse was written by Thomas Ravenscoft in his ‘Deuteromelia’ (published 1609).The extra verses were conjured up from the collective memory of the group. It has been in the family repertoire for several generations. 11 Aldridge’s Allemande/The Charming Fellow: Source as track 5. The Charming Fellow is a version of Corn Rigs, usually thought of as a Scots/Northumberland tune. Aldridge’s Allemande is one of several tunes thought to be named in honour of the Irish born stage dancer, Robert Aldridge, ‘a famous pantomimist and dancing master’ and a familiar performer in the theatres of London and Dublin in the 1760’s and 1770’s. 12 Love is Pleasing: Collected from a Gypsy called Joe Saunders at Biggin Hill, Kent. I had heard Keith Kendrick sing this song no end of times without realising it came from Kent. (It’s on his Me ’umble Lot CD) When I mentioned that we were doing another CD of Kentish material he reminded me of it. 13 Whitstable May Song: This was sung as part of the May Day parade in Whitstable until 1912 when someone deliberately set fire to the costume of the Jack in the Green who traditionally led the procession. After that there were no more parades! (Although there have been recent revivals.) Both the words and tune are very similar to Bedfordshire and Hertfordshire versions and I wonder whether this was an import? In those counties May Day traditions—particularly that of girls taking May Garlands round from house to house, continued until well into the 20th century. The only mention I’ve found of a similar tradition in Kent was girls taking a decorated doll’s pram around in Ashford in the 1950s.